This pathway provides guidance on the further imaging investigation of adult patients with a renal mass that is clinically palpable or incidentally found on previous imaging. 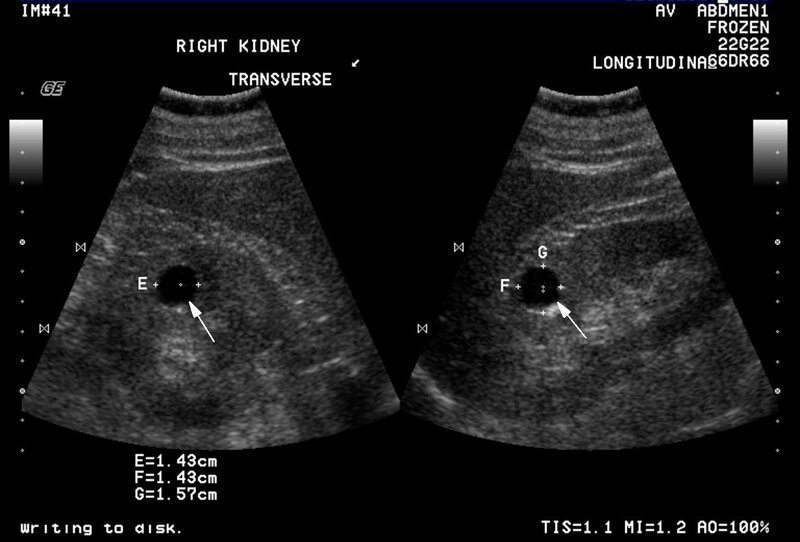 Image 1 (Ultrasound): Small simple benign cyst (arrow) in the upper pole of the right kidney with foci of calcification in or adjacent to the wall. 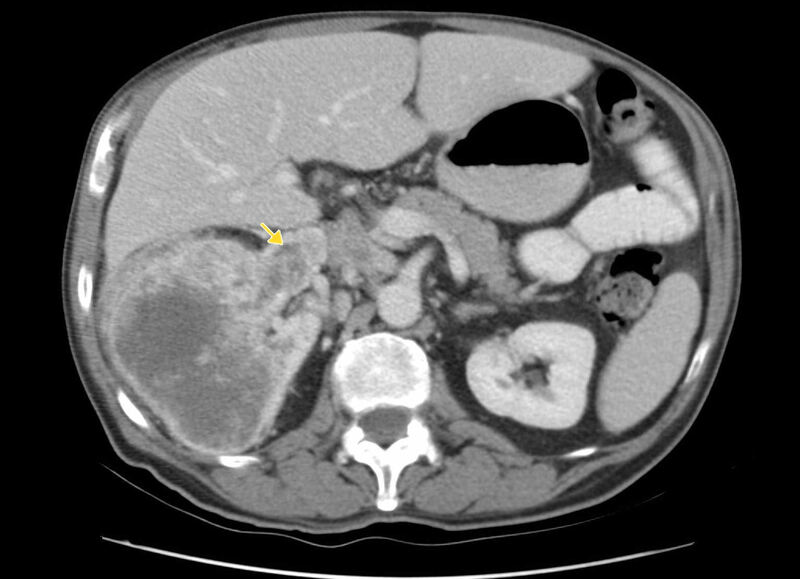 Image 2 (Computed Tomography): Large right kidney mass with central necrosis consistent with renal cell carcinoma. There is tumour extension into the right renal vein (arrow). 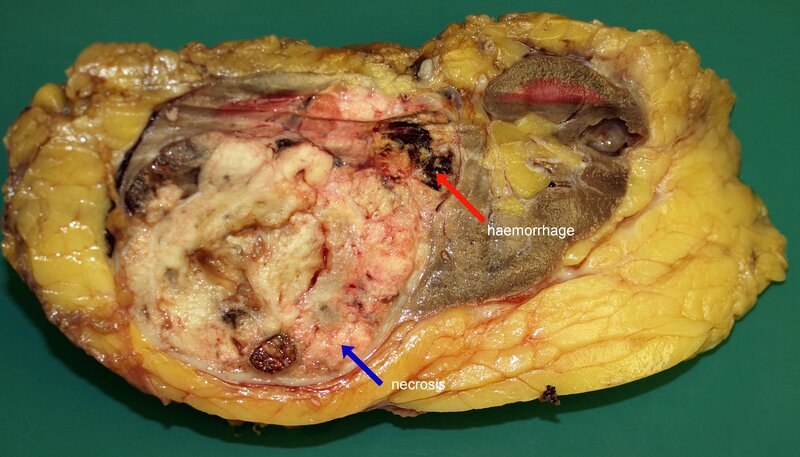 Image 3a: Nephrectomy showing a circumscribed and encapsulated renal cell carcinoma arising from the lower pole of the kidney. The cut surface shows a heterogenous appearance typical of malignancy with patchy areas of necrosis (blue arrow) and haemorrhage (red arrow). 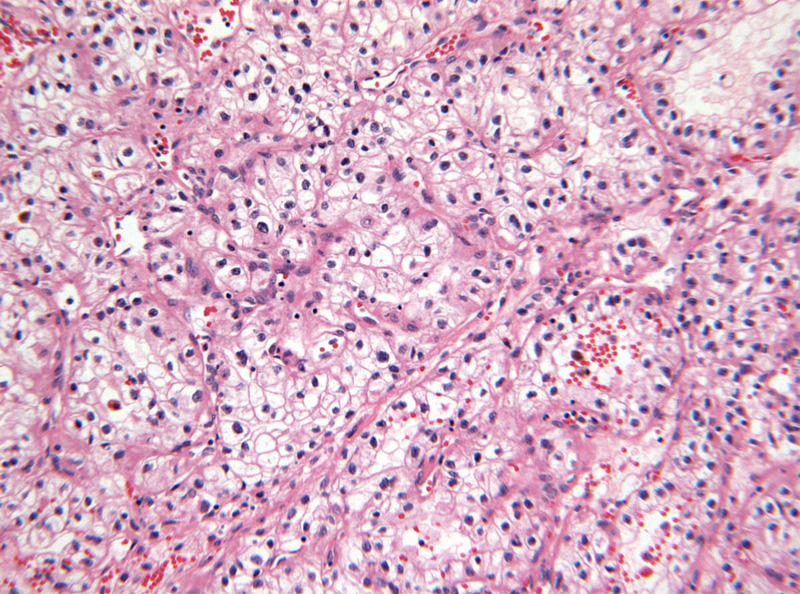 3b Image 3b (H&E, x10): Histological section of a conventional clear cell renal cell carcinoma showing sheets and nests of malignant cells with intervening thin-walled vessels. The cells demonstrate irregular and hyperchromatic nuclei surrounded by abundant clear cytoplasm (clear cells).